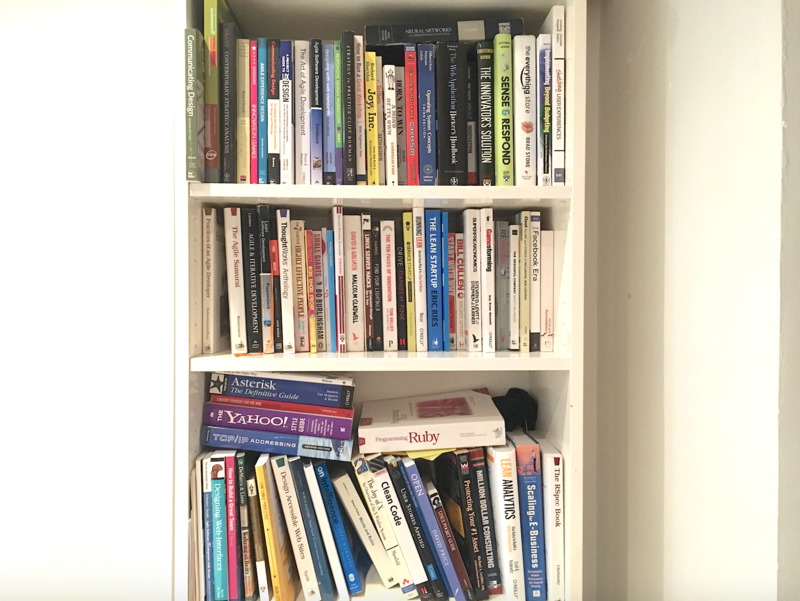 Unboxed - Blog - What’s on our bookshelf? Blog / What’s on our bookshelf? The Unboxed bookshelf is an ever-growing area of interest and conversation. Each month, there are more and more new additions to this corner of our office. Especially since the introduction of the (aptly-titled) #unbooksed Slack channel, where we share our recommended reads across the team. Digital innovation in big organisations often falls short of expectations when internal structures are outdated and inadequate. 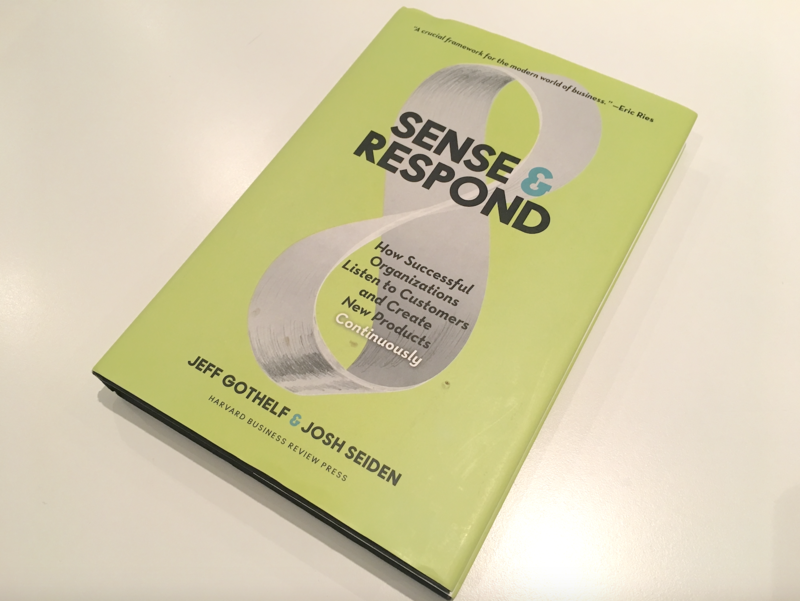 This book provides practical advice and examples on how an organisation can change to adopt a ‘Sense and Respond’ culture, constantly reacting to changes in the environment to produce better digital solutions. Written by authors of Lean UX, it skillfully brings together elements of Agile, Lean Startup and Design Thinking to describe a framework of how complex organisations can learn to act quickly and adapt to a constantly changing environment. Recommended for business managers interested in innovation and culture change as well as consultants trying to implement agile practices in big organisations. 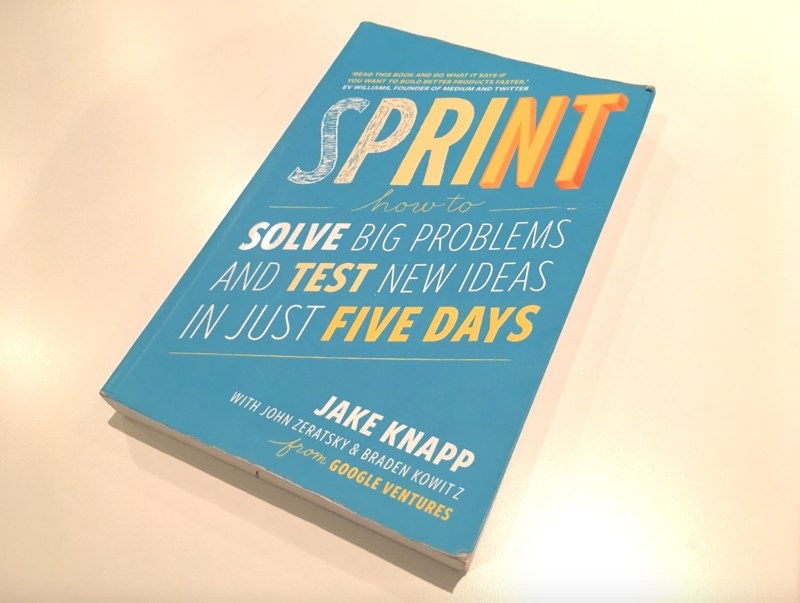 An easy to read book which introduces the five-day sprint process pioneered by the authors at Google Ventures. It’s an intense process to facilitate, but worthwhile as it allows organisations to quickly explore ideas and obtain real world feedback on them, without investing a signif amount of money. The book contains a number of case studies where the process has been run with a wide variety of different organisations and follows their journey through the process. A worthwhile read… And essential if you’re going to be running the process! One of the best collections of essential service design methods I have seen so far. Very thoroughly illustrated through examples and supported by a wealth of theoretical knowledge, this book should take up a prominent place on every practitioner’s bookshelf. It’s easy enough to read for someone just getting familiar with innovation in services, while at the same time providing enough detailed information for an experienced service designer. The book is organised around 14 key service innovation methods, such as mapping user experiences, creating personas, and service blueprinting. Each chapter consists of a theoretical discussion supported by a more practical description of these methods, as well as templates that can be used in their practical application. The method descriptions are also available on the book’s website. A silly book about the apocalypse. Seems appropriate for today’s times. Armageddon is near. An angel and a demon are responsible for bringing the apocalypse. However, they manage to misplace the Antichrist and it all kind of goes downhill from there. If you’ve ever wished for more books like “The Hitchhiker’s Guide to the Galaxy”, then this should be a good read for you. What it’s helped me with: Laugh myself to sleep in the evening. If you’ve got a latest read that you’d like to share with our team and others, tweet us at @ubxd.